Simone Biles may only be 19, but, following her amazing turn at the Olympics, she’s one of the most popular athletes in the world right now. 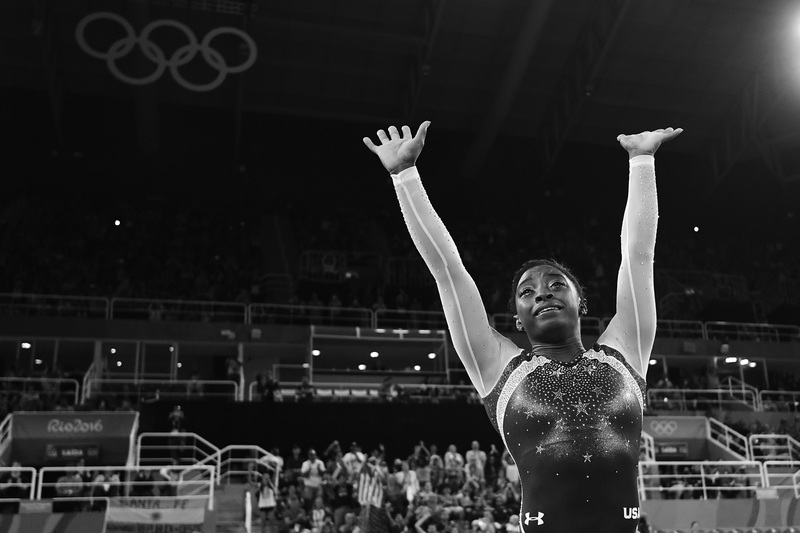 That’s to be expected — her performance at the Rio Olympics was a breakout one, and now is the time for her to get the money that’s been coming to her, and anything she gets will likely increase Simone Biles’ net worth. But, unless you’re a very famous athlete like Michael Phelps or Michael Jordan, you really don’t make that much money — especially if your sport is not something that people are fanatic about. And, according to E! Online, any athlete that wants to compete in college with the NCAA is not allowed to take a dime of endorsement or prize money — Missy Franklin opted out of millions of dollars in cash when she elected to swim in college. But, Biles went a different route, announcing in 2015 that she would be going pro and forfeiting her NCAA eligibility, according to NBC. She can take endorsement deals as much as she’d like, and now is really the time to strike while the iron is hot and she’s fresh as a winner in everyone’s collective mind. But not to worry — Biles will likely not let any endorsement opportunities pass her by. According to MoneyNation.com, Biles’ net worth in 2013 — when she was competing but not the star she is today — was reportedly $60,000. By 2015, her net worth had reportedly grown, thanks to her winning, like, every competition she set foot in, and was at about $300,000. But 2016? This is definitely Biles’ year in terms of money opportunities. According to E! Online, Biles had earned over $2 million from prize money and endorsements before she even got to the Olympics, and since there’s a cash prize for every Olympic medal an athlete wins — $25,000 for gold, $15,000 for silver and $10,000 for bronze, according to USA Today — that puts Simone Biles’ net worth about in the $2.5 million range. That’s not too shabby considering that Biles can barely legally vote. Biles has at least one more Olympic Games in her, barring any major mishaps or injuries, so that net worth will just grow and grow from here. And,when she can’t compete any longer, Biles can do public speaking, coach, or be a commentator — there are plenty of networks who would love to have such a decorated Olympian on staff. Now that Biles is officially the most decorated gymnast of all time, she has her pick of endorsements and competitions. This young girl has worked really hard to get where she is, and she deserves every single dime for all of her ambition and drive. I’d invest in Simone Biles now, because her stock is only going up.